I love plants and trees on parkways – it is kind of an obsession for me. 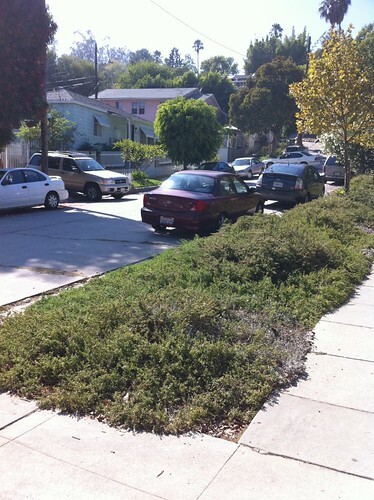 Here a few photos of interesting, low fuss parkways in Los Angeles. 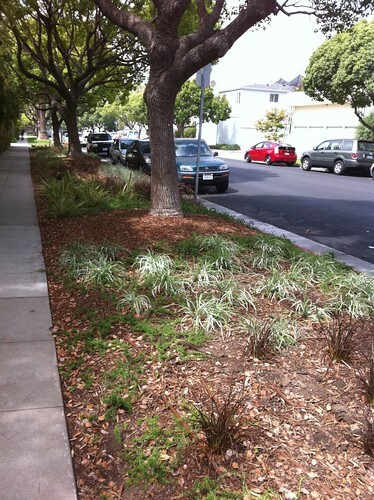 It is hard to see (look at bottom of image) but this parkway in Santa Monica does have drip irrigation. It used 1/4″ drip line with built-in emitters. I would kill for a wide parkway this wide. Alas, my parkway is only 31″ wide. 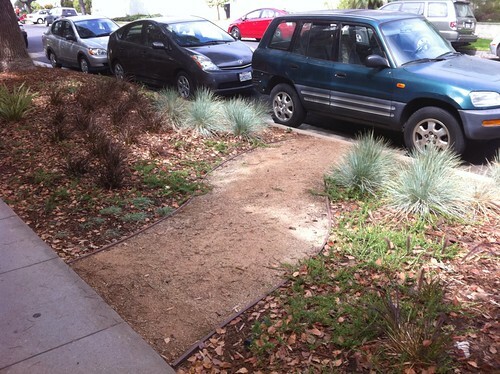 The path is made of decomposed granite, with plastic edging. It is important to create pathways for people if you are using plants on a parkway that are not pedestrian friendly. This path on parkway uses recycled concrete and wood edging. I think it would also look nice if they filled it in with some gravel. Rosmarinus officinalis ‘Prostratus’Â along edge of parkway. It looks nice now, but will probably be over grown in a season or two. 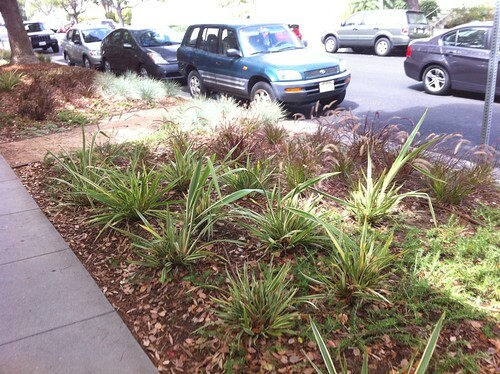 This parkway in Echo Park is covered entirely Rosmarinus officinalis ‘Prostratus’. The planting is probably 2-4 years old. 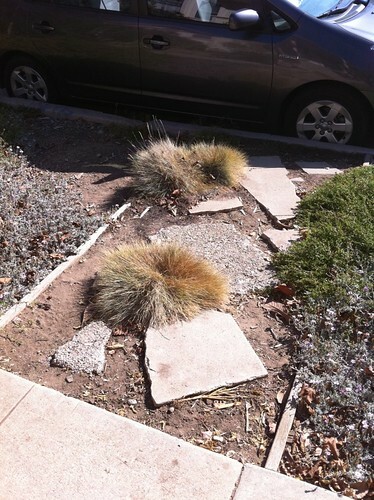 It is simple, drought tolerant and has a nice canyon feel. 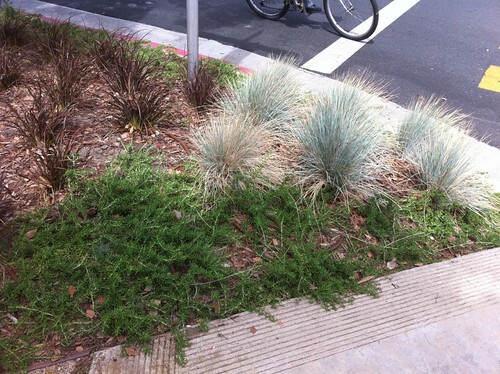 The edges of the planting, where it starts growing over concrete will have to be pruned back several times a year. Also as an aside – I grew up calling parkways “tree lawns”.Â In the mid-west where I grew up “parkways” were a term for scenic highways. I say tomato you say tomahto.